I was on the exclusive Manila Bay sunset cruise of Rogue Magazine yesterday. I most definitely needed this break! Unlike our Asian neighbors, cruises are not that popular here in the Philippines, maybe because the water pollution leaves a bad impression. But after tonight's cruise, I felt we have a lot to be proud about. It's the first time I saw the Manila skyline. And it does not look like Manila at all! It was just a two-hour cruise but I most definitely enjoyed it. 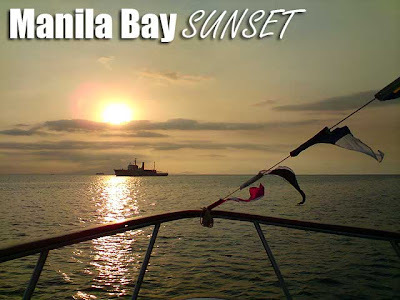 And it's one of the best ways to enjoy the Manila Bay sunset. 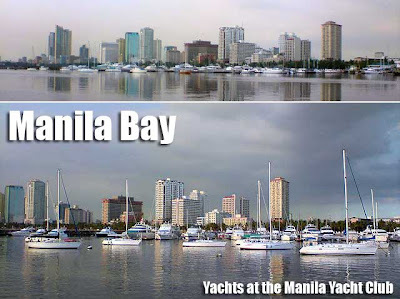 I hope we start cruises from Manila Bay to Laguna de Bay via the Pasig River, or Manila Bay to the Pampanga River. During the olden days, people traveled from Manila to Laguna and Pampanga via the waterways and it would be great to revive these historical routes as part of a lunch or dinner cruise package. In fact, I think that commuter ferries from Manila to Pampanga's river towns would be a great idea! Although it looks like it was a private yacht which they hired, you could check out Sun Cruises or Prestige Cruises for regular dinner cruises. Sun Cruises has three daily trips beginning at 4:30 p.m. Tickets cost Php550 per head, inclusive of plated dinner. I just posted the number of Prestige Cruises for those who have been asking about Manila Bay dinner cruises. how's the food that they serve? is it really fine dining? Where can i make a reservation or buy a ticket for 2persons..I want to experience the sunset cruise? Um, How's the food they serve, is it in a buffet meal or what? I also just want to know where can I make reservation for 2, and what kind of food do you serve? what's your rating on the food? is it nice? This is regards to the sunset cruise you did w/ Rogue last March. I found out that the yacht was chartered from Realship Corp and not from Prestige cruises. You may check out their website at www.realshipcorp.com and numbers at 832-5424. Saw your pics at their website. thanks for the information. Yes I know that. But not everyone can charter a yacht especially if there are just one or two people who want to cruise. So I put the contact numbers of Prestige since they are the only ones who do regular dinner cruises. That's a landline number, not a celphone number. It doesn't lack digits. hi guys my bf's birthday is on sunday and im thinking if this cruise if worth it... please badly need help.. 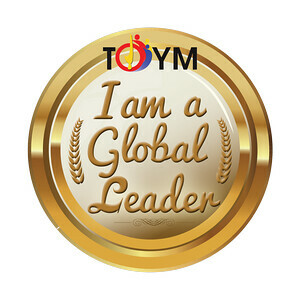 Many thanks for your prompt reply and suggestion to partake the Taal Volcano/Tagaytay excursion during my stay in Manila. Wish to know if the dinner offered for the dinner cruise by Prestige Cruises worth while or just take the cruise alone and have dinner at Harbor View. Appreciate your feedback. what can you say about the food there? Is it really worth it? Hi I just wanna ask how much is your fee for 2 person and is it open in Saturaday or Sunday. :)) Hoping for your reply :) Thanks!